Give ultimate attention to weather-worn skin. Simply put the desired amount into the Muslin bag and steep in your tub, just like a cup of tea. Enjoy the benefits of a bath soak without the messy clean-up! Mountain Body Products | AromaLuxury Candle - 10 oz. Table Top Size Mountain Body Products | Mountain Glow Mineral Salt Scrub - 8 oz. - Lemon Verbena Mountain Body Products | Mother Earth Clay - 8.1 oz. 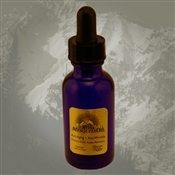 Mountain Body Products | Skin Food Massage & Body Cream - 32 oz.